Should the city of El Paso, Texas, be allowed to turn itself into a No-Vending Zone in order to protect brick-and-mortar restaurants from competition? That’s the question to be answered by a major federal lawsuit filed January 26, 2011 by the Institute for Justice and four El Paso mobile food vendors. 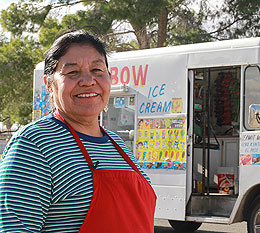 The lawsuit launches a National Street Vending Initiative, a nationwide litigation and activism effort to vindicate the right of street vendors to earn an honest living. Street vending is more popular than ever. The Economist magazine predicted that in 2011 “some of the best food Americans eat may come from a food truck.” Vendors are the darlings of many food critics, and they even have their own reality show on the Food Network. But El Paso, Texas, has recently made it illegal for mobile food vendors to operate within 1,000-feet of any restaurant, convenience store, or grocer. The city even prohibits vendors from parking to await customers, which forces vendors to constantly drive around town until a customer successfully flags them down—and then be on the move again as soon as the customer walks away. That is why four mobile venders teamed up with the Institute for Justice to file a federal lawsuit in the Western District of Texas, El Paso Division, against the city of El Paso challenging the constitutionality of its economic protectionism and fighting for their right to keep vending on the streets of El Paso.